Psychologist and researcher Don Donderi examines the evidence and research from the past several decades on the changing nature of UFOs. He looks at why the scientific establishment takes a dim view of UFOs and abduction evidence and examines how the US government has collected and suppressed UFO evidence. 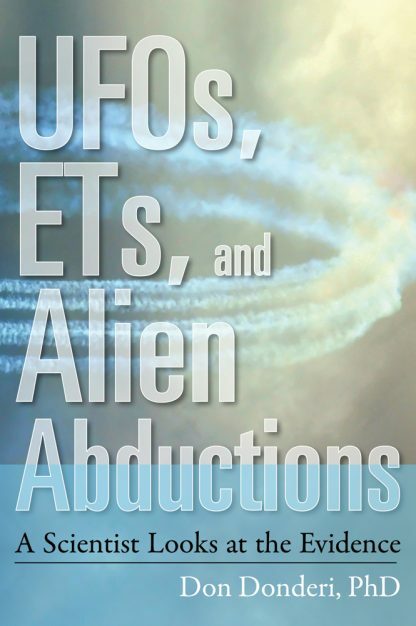 UFOs, ETs, and Alien Abductions is a wide-ranging examination of all things off-planet that falls into 3 sections. 2. The changing nature of UFO phenomenon from 1965 to the present, which makes the case for the existence of humanoid crew members seen in and around landed UFOs. This section also examines six well-documented abduction cases, and includes the author detailing his own research involvement with the evidence. He refutes the belief that all abductees are mentally disturbed and that a psychological disturbance explains the experience. 3. The third section is devoted to a very meaty and controversial analysis of science, politics, and UFOs.